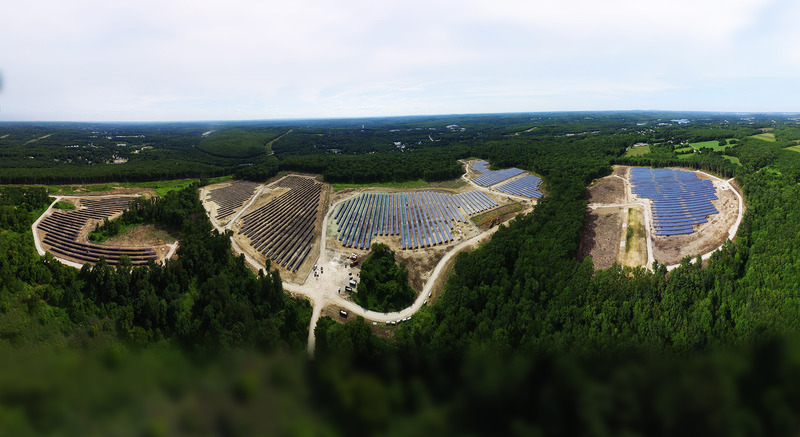 Conti Solar joined with BlueWave Capital, LLC, a leader in solar energy investment and development, as engineering, procurement and construction contractor on the company’s largest community solar project in Oxford, MA. The 16.5 megawatt Barrett Street project will provide clean energy and cost savings to local homes and businesses in the area. The Fay School and Phillips Academy Andover have contracted for more than 50 percent of Barrett Street’s total output to move toward their sustainability goals while lowering electricity costs. Once the largest commercial pig farm in the Northeast, according the Telegram.com, a local newspaper, the group of nine solar arrays will also protect 100 acres of farmland from more intensive use, enable future agricultural use, reduce carbon emissions by 15,000 tons annually, generate local tax revenue for the town of Oxford and create and support the Commonwealth of Massachusetts’ clean energy and climate goals.